Police have summoned UPND president Hakainde Hichilema for questioning. This follows instructions by numerous PF politicians and journalists. The Kwacha is expected to fall starting from tomorrow due to fear and anxiety that will follow. 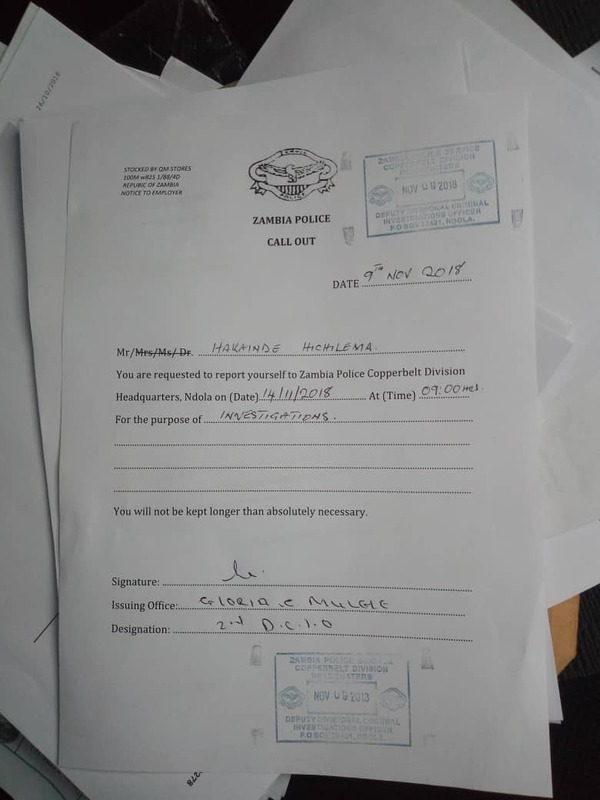 Hichilema has been asked to appear at Ndola police headquarters next week on Wednesday.